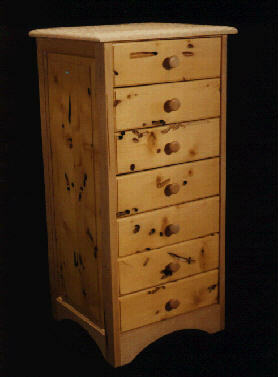 Maple and western yellow cedar custom chest of drawers. The natural holes were made by sea worms. Open the drawers and smell the wood! !